truck driver industry news | Platinum Drivers Inc.
New rules set forth by the Environmental Protection Agency’s 1,690 page greenhouse gas pollution rule book is giving worry to truck drivers. Right now, there is great concern for the safety of the environment due to heavy-duty truck idling, especially when truck drivers idle their trucks during required rest breaks during day and weeklong trips. The EPA putting forth measures to stop or reduce gas emissions by regular vehicles and heavy duty trucks is not a new story. However, according to the new rules, there will be a whole new set of restrictions for commercial truck drivers. 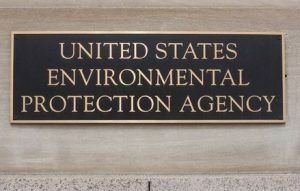 The EPA’s goal is to cut the pollution during the times a trucker keeps the engine on or when a small diesel-fueled auxiliary power unit is used to heat, cool and run appliances in the cab. Regulators are looking to limit truck idling to reduce carbon emissions and particulate matter from trucks, which does account for almost 20 percent of the greenhouse gas emissions. These rules and regulations are all part of what is termed Phase 2 and the goal of this phase is to cut APU’s by at least 95 percent by 2024. California was the first state to put idling restrictions in place. The state has a five-minute idling limit with a minimum violation amount of $300.00 and for repeated offenses, violations ranging from $1,000 to $10,000. Some trucking companies are already ahead of the game with idle-reduction equipment on the trucks. There is also new technology that aims to reduce gas emissions from heavy-duty trucks. The Phase 2 standards will be requiring that new trucks are to be equipped with a diesel particulate filter, but such technology will definitely increase the cost of the vehicles. For now, truckers can continue to carry on the way they have been. If you are looking to hire qualified truck drivers or are in search of a career in heavy-duty truck driving, contact Platinum Drivers.